If you have been involved in a hit and run incident in the city of Burbank, representation can be critical. The Burbank Police Department Traffic Division expends extraordinary resources investigating accident cases, and will likely contact you, quickly, for a statement about the incident. While it may seem like a good idea to "make things right," and speak directly to the case detective, you may be building a criminal case against yourself. Thus, you should not speak to police without attorney representation. George Kita is a former prosecutor who has handled 100s of Burbank cases in his criminal law career. He understands the process for hit and run cases in Burbank, and he develops prompt strategies for clients facing these charges. Mr. Kita evaluates the most suitable approach for each client’s specific situation. He then makes efforts to contact the Burbank Police Department & Prosecutor’s Office, before a case is filing, to develop possible solutions. He is familiar with a range of possible alternatives to hit & run convictions, such as, Civil Compromise, City Attorney Diversion, & infractions. If you have been involved in a Hit and Run, call now, and find out how he can help you, at 818-536-3630! A hit and run investigation begins when someone involved in a traffic accident fails to exchange information prior to leaving the scene. Even if your vehicle did not make actual contact with another vehicle, a hit and run charge may still be filed, if you are considered "involved." Hit and Run law is complex, and it makes sense to seek representation from an attorney who understands the Burbank system. Burbank Hit & Run Defense Lawyer George Kita can put his experience to work for you, and determine the best strategies for your case. 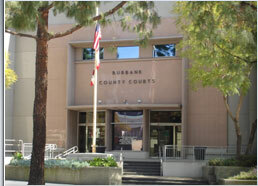 He has represented many clients in Burbank, and works tirelessly providing vigorous representation. Contact Attorney George Kita, now at 818-536-3630, to determine effective approaches for your Hit and Run case! *Hit and run outcomes are unique to the specific facts of each case.